Trisha Glover of Working Brides did an amazing job developing a beautiful reception space for Megan and Sonny's reception. 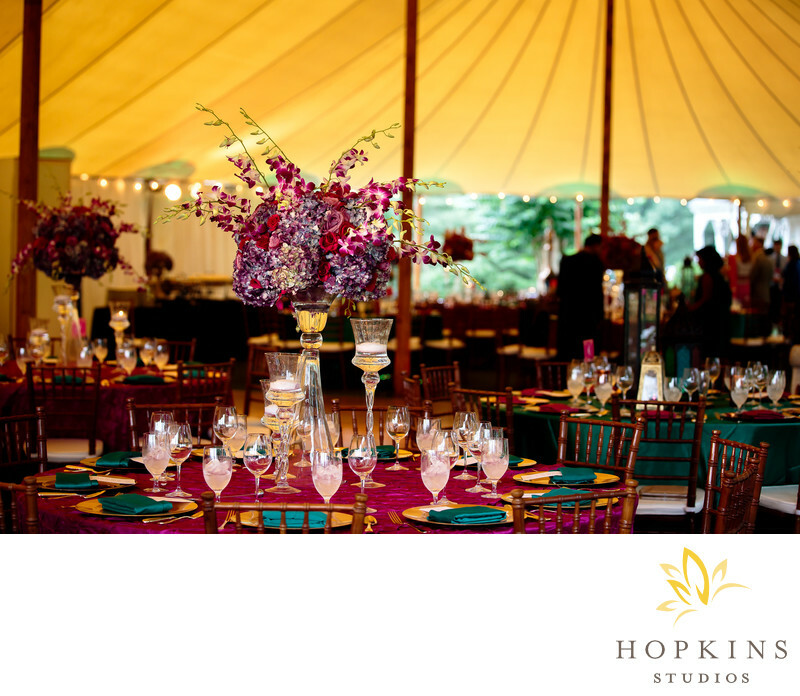 Teals, purples and pinks were utilized throughout the reception space. Keywords: Charlottesville Wedding (144), destination wedding (87), destination wedding photographer (156), Indian Wedding (81), keswick vineyards wedding (69).